Every teacher can be a passionate teacher-one who engages young people in the excitement of learning and ideas-if teaching is not undermined by the ways we “do business” in schools. The Passionate Teacher draws on voices, stories, and successes of teachers in urban, suburban, and rural classrooms to help you become, and remain, a passionate teacher despite the obstacles. An inspiring handbook, enthusiastically embraced by teachers. 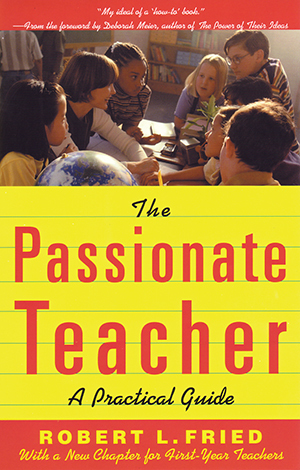 “Convinces us of the value of passion by actually taking us into classrooms where teachers dissolve student disinterest not with ‘tricks’ but rather with an authentic commitment to what and who they are teaching.